Browser extensions and add-ons can be helpful tools for journalists when it comes to sorting through the heaps of information available online. They can also provide great shortcuts to other useful services, or make a quick connection between your laptop or PC and mobile devices. Mozilla's web browser was released in November 2004. 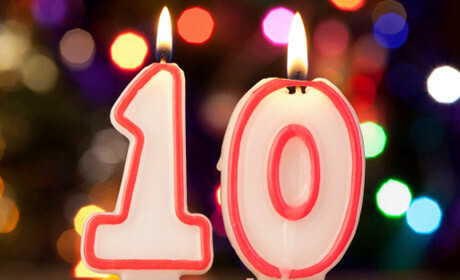 So to mark the 10th anniversary of Firefox, Journalism.co.uk has put together a list of 10 useful extensions for journalists. Pocket is a bookmarking tool that allows you to save interesting articles, videos or images for later. Use it to set aside useful resources to access on the go through the Pocket app on your smartphone. Who stole my pictures? is a reverse image search tool, enabling journalists to follow images to their original source. This add-on brings together other reverse image search tools such as Search by Image for Google and TinEye, tapping in to the various online tools available for this purpose. The add-on can also be used by photographers to track down sites that may be using their images without permission. PictuTools is another Firefox add-on that pulls together other online applications and tools, this time with a focus on image editing. After installing PictuTools, check out the editing options offered in the menu, including cropping, resizing, and special effects. Among the services PictuTools works with is Pixlr, a free online image editing suite similar in functionality to Photoshop. The add-on also has reverse image search features as well the ability to show you EXIF data for images. Imagus lets you see a preview of the pictures and videos embedded in a web page by mousing over the page's URL. A useful ally for when you're not quite sure where a link will actually take you, Imagus also zooms in on thumbnails to get a better idea of what the image or video in question has to offer. It's easy to get slightly lost down the infinitely-scrolling Tumblr dashboard, especially if you're following a large number of blogs. You might think you'll remember an interesting post you saw to come back to it later, but once you carry on scrolling down the dashboard it's very likely you'll lose it, or spend a long time tracking it down. Tumblr Scrollr, currently in beta, lets you highlight interesting posts and even find them on pages that haven't fully loaded yet. Use it for a more efficient way of saving potential story leads on Tumblr. All trending tweets changes the look of your Twitter feed when looking at a particular hashtag or trending topic. Instead of showing you just top tweets as Twitter does by default, it show you all of the tweets posted – a useful feature to find sources whose posts may not have made it to the top tweets tab but could still include important information. The add-on also 'greys out' any sponsored or promoted tweets. Bloggers, particularly those with a presence on multiple platforms, will find ScribeFire Next useful. The add-on enables users to manage various blogs on sites such as Wordpress or Tumblr, and includes a variety of features from writing and scheduling new posts to updating older articles and using tags or categories to organise your site. ScribeFire Next is the updated version of ScribeFire, redesigned and intended to replace the original add-on. More than just a spellchecker, Grammarly Lite aims to help out in every way possible when it comes to writing. It looks out for grammar as well as punctuation mistakes, and has built-in dictionary and thesaurus features. For journalists who use Reddit often, Reddit Enhancement Suite is an add-on to help better manage information posted to the site. It lets you colour code users you frequently see post on topics of interest, and displays the total number of votes that Reddit posts receive. If you haven't used Reddit before or would like to find out more about its uses in journalism, check out these Reddit tips from Journalism.co.uk's latest news:rewired digital journalism conference. Nimbus is an add-on that helps you better control the screenshots you grab. It lets you select exactly what part of your Firefox tab you want to screenshot, and then upload the file to Google Drive or save it to your computer. Nimbus also enables annotations through arrows and stickers, so you can save important information for later or share particularly interesting snippets on social media quicker. The add-ons have all been added to this collection, which will be periodically updated with more useful suggestions. Have you found a certain add-on particularly helpful? Share your recommendations in the comments below or tweet us at @journalismnews.